Former International Cycling Union (UCI) president Hein Verbruggen has hit back at Lance Armstrong, after the disgraced American made claims today that the Dutchman had helped cover up his positive for cortisone in the 1999 Tour de France. Verbruggen, who is now chairman of the Olympic Broadcasting Service, and an honorary member of the International Olympic Committee (IOC), attacked Armstrong’s credibility, after the latter has spent years lying to the authorities and the media. “Since when does one believe Lance Armstrong?” Verbruggen wrote via SMS to Dutch TV station NOS. “When with Oprah Winfrey he said he never settled something with the UCI? Or since he (charges a fee!) makes movies and interviews and hints that there are juicy stories to come? 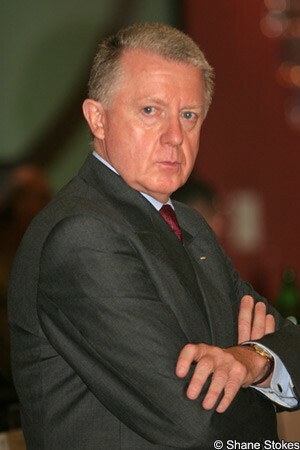 Verbruggen was UCI president between 1991 and 2005, which is widely held as the most dope-ridden period in the sport thanks to the widespread use of the as-yet undetectable EPO. In 1996 he became a member of the IOC, paving the way for professionals to be included in the Atlanta Games. On handing over power to his successor Pat McQuaid, Verbruggen remained as “Honorary President” of the UCI, which afforded him a seat on the Management Committee. The IOC echoed Verbruggen’s questioning of Armstrong’s credibility; ironically, using the very word that Armstrong himself used to try to undermine former teammate Floyd Landis when he had first exposed the now-disqualified seven-time Tour de France winner’s doping practices. Despite questioning the messenger, however, the IOC confirmed that the issue is to be investigated by the UCI as part of its investigation into the sport’s doping culture. "It is hard to give any credibility to the claims of a cyclist who appears to have misled the world for decades," read an IOC statement, according to AP. "That said, the UCI is currently working on plans to investigate the matter more thoroughly and we await proper considered outcomes."